I have a 1994 5.7 Camaro, and I’m not getting any spark or fuel pressure. A few months back I put in a new CAM, Headers, and Exhaust. Before getting the computer tuned it turned on just fine, but it would not stay on unless I kept my foot on the gas. Because my new job kept me away from home, I parked the car. A few months went by, before getting back to the car. I tried starting it but it just will not turn over. The car was already low on gas so I put fresh gas, changed the fuel filter, removed the plugs and injected a little oil. Still the car will not turn over. For some reason I figured it was because I needed the computer tune done (I’m no mechanic), but it was in the back of my mind for months that I needed the tune done. So sent the computer to get tuned, expecting my car to start right up. Nope, still the car does not turn over. I did some research, and I was pointed to the distributor, ICM, or Coil. I changed one at a time hoping for spark, but still no spark. I was hoping to avoid having to take everything apart to change the distributor, plus it’s a $200 part. Well I ended up changing the distributor, put everything back together, surely it will start now. Nope still no spark or fuel pressure!! This is driving me crazy does anyone have any idea what the problem might be?? I had someone look at it and they think it’s my PCM, I tend to agree but I just don’t want it to be so. Any info provided will be greatly appreciated. "turn over" means different things to different people - to some it means the starter "turning over" (= cranking) the engine. To others, it means the starter is cranking the engine, but it doesn't want to start. What happens when you turn the key to "run"? Do you hear the fuel pump prime for 2 seconds, and then shut off? Is this the point where you measured fuel pressure, and determined it was "0"? What exactly happens when you turn the key to "start"? Does the starter engage? Does it crank the engine at normal speed? Does the engine make any attempt at all to start? How did you determine no spark? Did you check at the spark plugs, and at the coil wire? At any point did you scan it for codes? At any point did you test to see if the distributor was supplying the signal required for the PCM to allow the fuel system to operate, and tell the ICM when to fire? What I meant by “turning over” is “the starter is cranking the engine, but it doesn’t want to start”. I do not hear the fuel pump when turning the key to “run”, but I will double check this. I checked fuel pressure while the key was on the “on” position and while trying to start the car. I don’t know if that is the correct way to test for fuel pressure, but either way the gauge did not move. The starter does engage, not sure what you mean by “Does it crank the engine at normal speed”. I would describe it as the engine is attempting to start, but it just doesn’t start. I put a spark plug tester a different plugs and the on the coil, and attempted to start the car, the tester never lit up. I have not checked for any codes, I’m ordering a cable and getting my laptop ready to check codes with scan9495…. I did test voltage at the distributors, and ICM connections following directions that I found on this site, and the voltage was good. However, I still took the ICM to be tested and it passed at one store, but because I still was not getting spark, I took it to a different auto store to be tested and it failed. Which is why I bought a new one. not sure what you mean by “Does it crank the engine at normal speed”. Does it spin the engine quickly, like it should, or does it sound slow, labored and struggling, like a weak battery? When you tested the voltage on the white wire from the PCM to pin B on the ICM, did you get a variable AC voltage in the range of 1V - 4V? You will only get that signal if the Opti/distributor is supplying the PCM with the cam position signal. 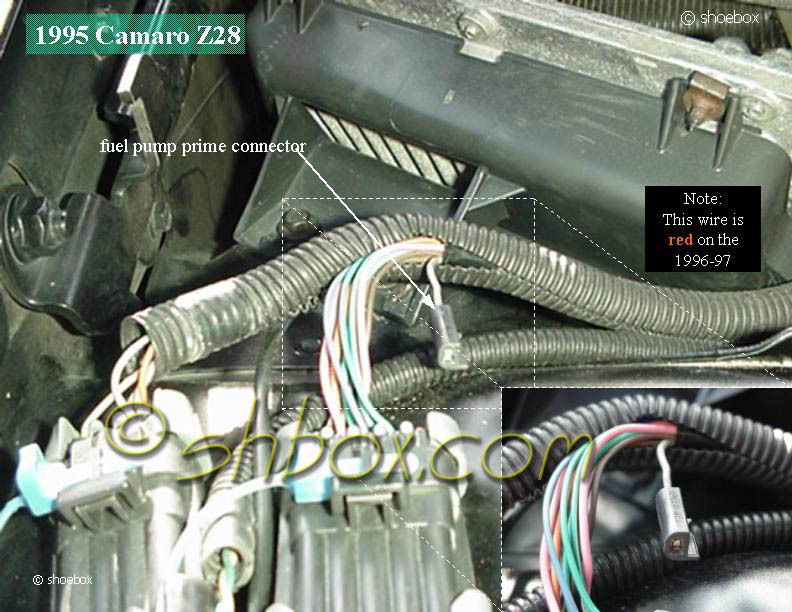 The reason that is important is that if the PCM does not get the low resolution cam position signal from the Opti, it shuts down the fuel system, and can't fire the plugs. ICM needs to be tested hot. Requires multiple tests to heat it up, or some people will even take a hair dryer with them to heat it up. When you turn the key to "run", the fuel pump should prime for 2 seconds. Watch the pressure gauge while someone turns the key. Pressure should reach at least 40psi by the time the pump shuts down. Then watch how fast pressure bleeds down. Should bleed down slowly, not rapidly. Are you sure your fuel pressure gauge connector has the pin in it to depress the Schrader valve core, to get a reading. Based on your description, the engine does crank at normal speed. Also in case you are wondering I have brand new battery in it. I have tested the voltage and it did fall between 1v – 4v, but I don’t remember exactly what it was. I tested this probably 3 months ago, but I did not test hot. I will go re-test this today. I will also test the fuel pressure again. I also tested the fuel injectors for the presence of on-off signals, and I got nothing. The Opti cam position signal loss will set DTC 16. When that sets, the PCM disables the fuel pump and the injectors. The pump should still prime, however. That code does not turn on the SES light. Well sure enough I'm not getting the proper voltage out of the "B" slot. Which is really confusing to me. When this all began I was getting the proper voltage out of the original distributor. Since i was not getting spark after changing the ICM and Coil, I went ahead and put a new distributor in anyway. I spent time tracing back all connectors on the harness, i reseated them all. I also made sure the ground connection was connected. Just for curiousity I checked the compression and I got between 60-90. Not sure if that should be higher. Is it a bad idea to tear it all back down, replace the distributor, and try turning it on with no water pump? It's wrong to start playing parts replacement roulette without taking the basic steps to diagnose the problem, including scanning the PCM. Are you sure when you replaced the distributor, the harness connector was not damaged? Did you check the harness connector for corrosion? Is the tab that locks the connector to the distributor still functional? In addition to the connector at the distributor, check the gray 4-pin connector on the bracket on the passenger side of the intake manifold. If you did the compression check correctly, 60-90 psi is ridiculously low. You should see 160-200 psi, depending on how hot the engine is, how many times you cranked it, how far open the throttle blades were held, how many spark plugs you removed, etc. Last edited by Injuneer; 09-28-2014 at 03:08 PM. “midwest79” has not signed into this site since 2014, two days after his last post above. Why not start a new thread, with a detailed description of the problems you are having, and details of any modification to your engine. We're here to help.... not many LT1 enthusiasts left.